Thursday looms as an important day for both proponents and opponents of an expansion at Gross Reservoir, as Boulder County commissioners meet to hear Denver Water officials make the case that the massive project should not be subject to the county review process. Denver Water, which serves about 1.4 million customers in the Denver metro area, but none in Boulder County, had hoped to start construction this year on a project to raise the Gross Reservoir Dam in southwestern Boulder County by 131 feet to a height of 471 feet and expend the reservoir’s capacity by 77,000 acre-feet. The project is subject of a federal lawsuit filed by a half-dozen environmental groups, and still must also obtain a licensing amendment at the Federal Energy Regulatory Commission in order to go forward. Boulder County Land Use Director Dale Case on Oct. 22 issued a finding that Denver Water’s plans were subject to the county’s so-called “1041” review process, a decision Denver Water asked without success for Case to reconsider, before finally appealing the question to the commissioners. Commissioners will hear Denver Water’s appeal starting 4:30 p.m. Thursday in a public hearing expected to last at least four hours. It will take place in the commissioners’ third-floor hearing room at 1325 Pearl St. in Boulder. In-person sign-ups to speak will be taken beginning an hour in advance of the hearing, and commissioners are expected to issue a decision that night. 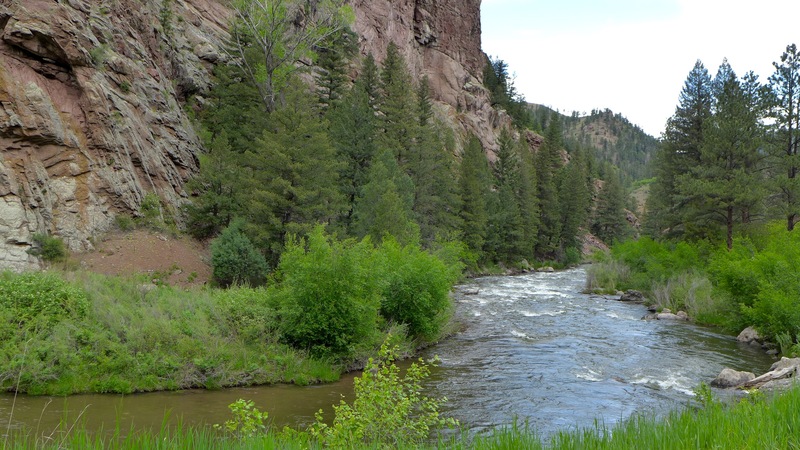 Two lawsuits making their way through the federal court system are challenging two significant water projects in Colorado designed to divert more water from the Colorado, Fraser and Williams Fork river basins in Grand County. The projects — Northern Colorado Water Conservancy District’s Windy Gap Firming project and Denver Water’s Moffat Collection System Project — would provide a combined firm yield of 48,000 acre-feet of water for the sprawling Front Range. But environmental groups say government agencies violated the law in the environmental permitting processes of both projects. Both Northern and Denver Water say they factored in conservation efforts when they calculated water demand and that even aggressive conservation efforts won´t be enough to meet water demand in the future. But some water experts say that the state’s use of population growth as one of the major drivers of water demand was flawed. “As population goes up, water demand continues to go down and it’s been that way for decades,” said Mark Squillace, a water law expert at the University of Colorado Law School. The phenomenon of increasing populations with declining water use is known as “decoupling,” and it has been happening in nearly every part of Colorado since the 1990s. Higher efficiency appliances, utility-driven conservation programs and greater citizen awareness of water shortages have all driven the change. But water managers say the state’s growing urban areas are reaching the point of “demand hardening,” where the additional water that can be conserved will not outweigh the amount needed in the future. While they differ, the pair of lawsuits being spearheaded by Save the Colorado could both hinge on demand and conservation estimates, and the assumption that additional conservation won’t be sufficient in the future. Both lawsuits were filed in federal district court and are now awaiting action by a judge to move forward. 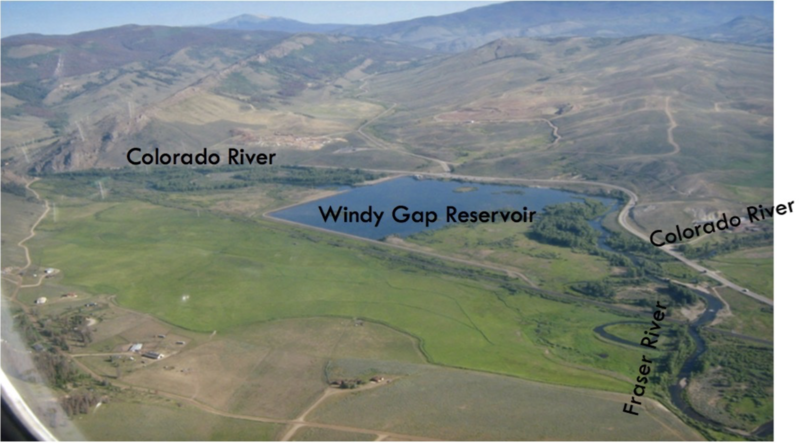 The Windy Gap Firming case was filed in October of 2017 against the U.S. Bureau of Reclamation and the U.S. Army Corps of Engineers. The Moffat Collection System case was filed in December against the Army Corps, the U.S. Interior Department and the U.S. Fish and Wildlife Service. An aerial view of Windy Gap Reservoir, near Granby. The reservoir is on the main stem of the Colorado River, below where the Fraser River flows into the Colorado. Water from Windy Gap is pumped up to Lake Granby and Grand Lake, and then sent to the northern Front Range through the Adams Tunnel. 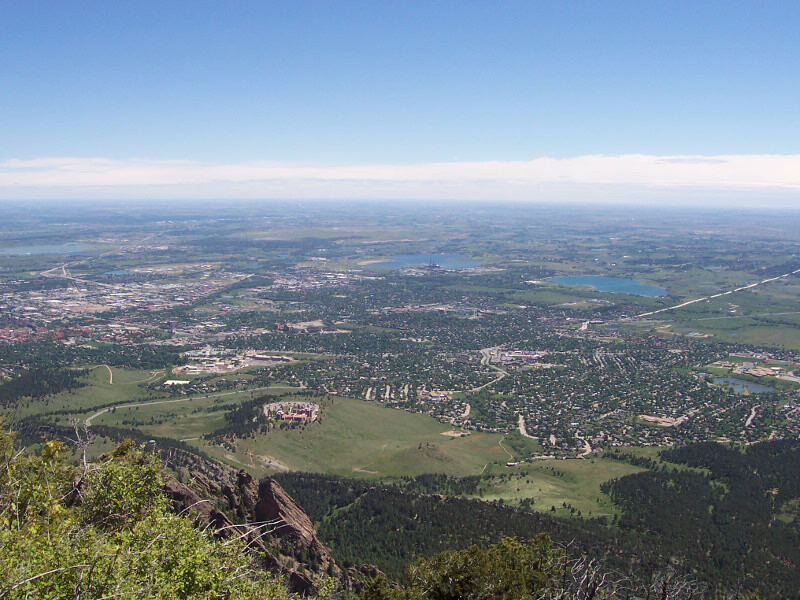 Both the Windy Gap and Moffat projects were conceived decades ago to address projected water shortages on Colorado’s Front Range and to add resilience to both Northern and Denver Water’s supplies. Now estimated to cost about $600 million, the Windy Gap project will include a new 90,000 acre-foot reservoir in western Larimer county called Chimney Hollow Reservoir. The reservoir is designed to store water from the Colorado and Fraser rivers transported from the Western Slope through the existing infrastructure of the Colorado-Big Thompson project. Windy Gap Reservoir, built in 1985, is created by a low river-wide dam across the main stem of the Colorado River, just downstream from where the Fraser River flows in. The reservoir is relatively small, holding 445-acre feet, but it’s well situated to gather water from the Fraser, pump it up to Lake Granby and Grand Lake, and then send it through the Adams Tunnel under the Continental Divide. 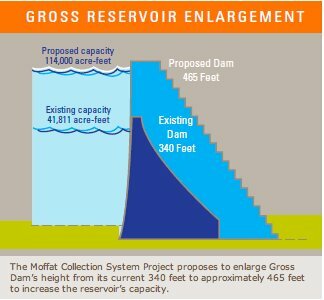 With the Moffat project, Denver Water plans to spend an estimated $464 million in order to expand Gross Reservoir in Boulder County, by raising the height of the dam by 131 feet, in order to store an additional 77,000 acre-feet of water. Gross Reservoir is a part of the utility’s existing northern collection system and is filled with water from the headwaters of the Fraser and Williams Fork river basins. 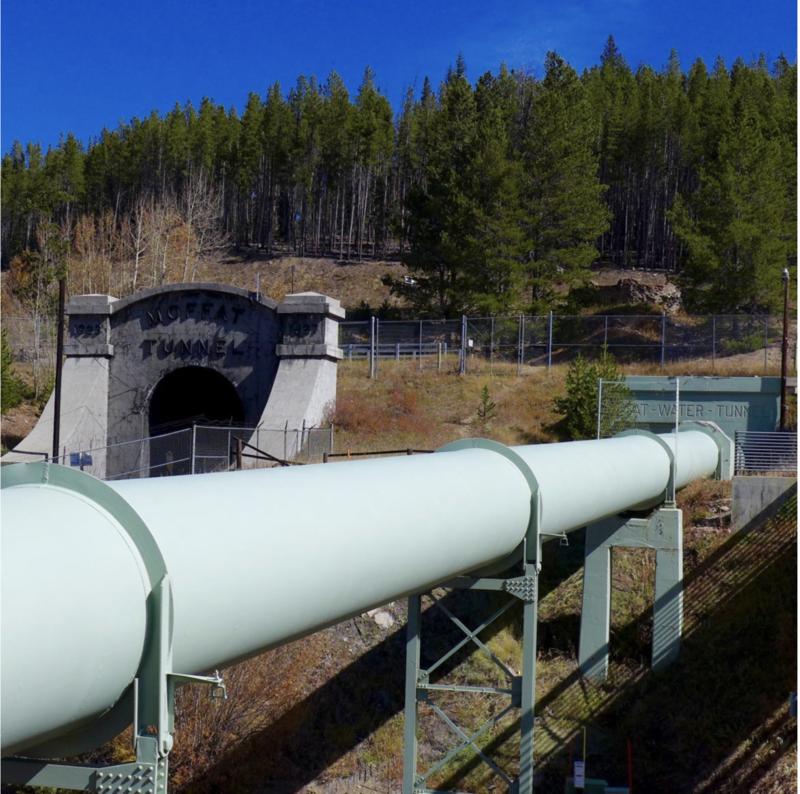 The water is moved through a pipeline in the Moffat Tunnel, which runs east through the mountains from the base of the Winter Park ski area. The plans to expand Gross Reservoir started in 1990 after the EPA rejected Denver Water’s plan to build Two Forks Reservoir on the South Platte River. The EPA’s rejection of Two Forks signaled the end of an era of large dams and forced groups planning large water infrastructure projects to give more consideration to the environmental impacts of their plans. Following this rebuke, Denver Water turned to the environmental groups that had opposed their project and solicited advice. Throughout the 1990s, the utility implemented water conservation and recycling programs and started making plans to expand an existing reservoir instead of building a new dam. 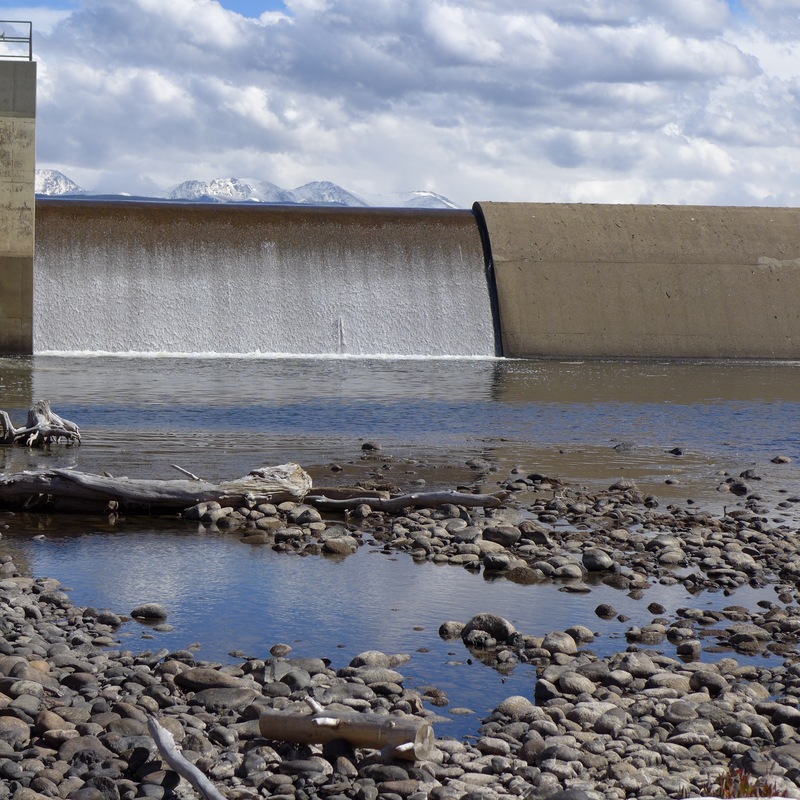 In partnership with environmental groups like Western Resource Advocates and Trout Unlimited, Denver Water has agreed to spend $20 million on environmental improvements in watersheds on the Western Slope as part of the Gross Reservoir expansion. Denver Water has also agreed to a monitoring program that will require them to mitigate any unforeseen environmental problems caused by the project, a compromise between environmental groups and the largest water utility in the state. Concerned with having their own projects fail, as Two Forks did, other water managers emulated Denver Water’s strategy. When Northern Water started planning for the Windy Gap Firming project it also reached out to environmental groups, and ended up committing $23 million to mitigate problems caused by past projects and to make other improvements in the upper Colorado River watershed. Even though there will be impacts from taking more water from the river, Northern Water says that these “environmental enhancements” will leave the river better off than it would be without the project. And environmental groups working on the project agree. Gross Reservoir in the mountains to the southwest of Boulder. 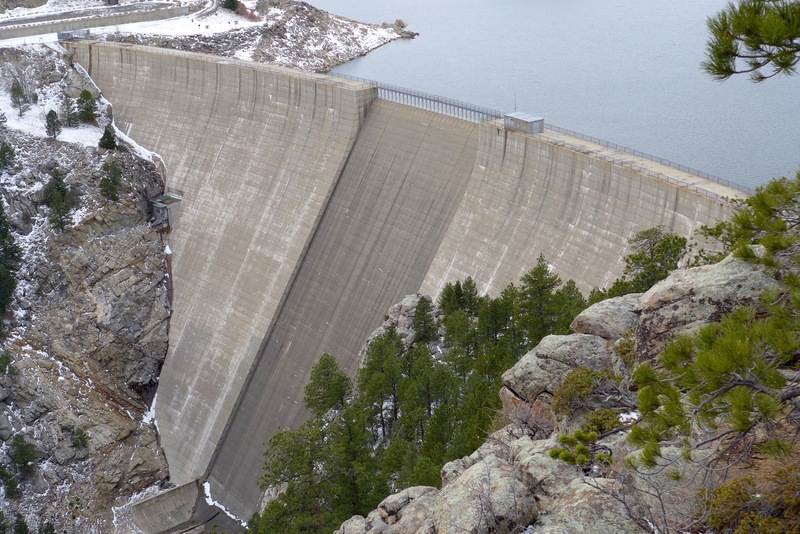 Denver Water hopes to increase the height of the dam 131 feet, to a new height of 471 feet, to store three times as much water, which it says will help it meet increasing demands and to better weather severe droughts. While some environmental groups have seen compromise as the best step forward, Save the Colorado and the other plaintiffs in the two lawsuits take a harder stance. Save the Colorado, in particular, is against any new dams or diversions. Colorado and the six other states that use Colorado River water are now negotiating a plan to better manage Lake Powell and Lake Mead in response to drought and acidification. Last week, an engineer from Northern Water told the city council of Loveland that it may have to take a ten percent cut in the water it draws from the headwaters of the Colorado River, sending the water instead to Lake Powell, where water is held before being moved through the Grand Canyon and into Lake Mead for use in California, Arizona and Nevada. And Northern’s statement did not go unnoticed by the plaintiffs in the Windy Gap and Moffat lawsuits. Lynch and his team are arguing that the Bureau of Reclamation and the Army Corp of Engineers — the two government agencies being sued in the Windy Gap Firming case — failed to update and independently verify the water demand data used to justify the project. To back up this allegation, the plaintiffs petitioned the court to include a statistics report in the administrative record. The report, which looks at water use statistics in communities with stakes in Windy Gap Firming water, showed that their demand projections made back when the agencies conducted their environmental assessments were between 9 and 97 percent higher than the actual water use rates in those areas. The lawyers in the Moffat Project lawsuit also found that Denver Water used old data from 2002 to project their demands future demands. The complaint filed by the plaintiffs says that the Army Corps and the Department of the Interior — which are the two agencies being sued in the Moffat case along with the Fish and Wildlife Service — ignored more recent data that was available when they conducted their assessments. Both legal teams say that even if the data did reveal a demand for more water, the agencies failed to analyze the alternatives to two large infrastructure projects, including conservation. Specifically, Wockner and Eubanks both spoke about how a “cash for grass” program — where the government pays people to dry up their lawns — was never analyzed as an alternative. Looking at similar programs in California, they say the same amount of water could be saved, but for less money than either of the two infrastructure projects. To this claim both Northern Water and Denver Water say that additional conservation measures are already planned for the future, but that they are not enough. Due to a long backlog in the court, both lawsuits are unlikely to see their day in court any time soon. According to both lawyers, it could be months or years until the cases are decided. The court’s slow pace could impact the construction of both projects. Citing the lawsuit, Northern Water delayed bonds to build the project back in August. Executives at Northern say they are using the time to hammer out the last of the details of the project’s design, but that if the project is delayed it may cause costs to rise or endanger the water supplies of the project’s participants. Denver Water is still waiting on several permits before they can begin planning construction and is less concerned about a delay. Both Lochhead and Wind say they believe that the projects will go forward once the lawsuits are resolved. While both Northern Water and Denver Water are confident that their projects will move forward, the plaintiffs in the cases are hoping for an upset that could topple the entire water system in Colorado. “If we win this case, using this particularly egregious example of inaccurate water demand projections, we think we can set a precedent that would force the state to look at more recent data for different types of projects,” Eubanks said. Denver Water is seeking approvals from the U.S. Army Corps of Engineers, the U.S. Fish and Wildlife Service, and the state of Colorado to expand Gross Reservoir, which is southwest of Boulder. The 77,000 acre-foot expansion would help forestall shortages in Denver Water’s water system and offer flood and drought protection, according to Denver Water. The legal process surrounding Gross Reservoir has deep significance to Grand County. The county serves as the source for much of the water Denver Water relies upon, which is transported out of the county through the Moffat Tunnel near Winter Park Resort. The county is also party to a collaborative water management group called Learning By Doing. The group looks to improve river habitat in Grand County by conducting environmental water projects and through other means. The lawsuit filed by the environmental groups does not name Denver Water and instead is directed at the US Army Corps of Engineers, the Department of the Interior and the US Fish and Wildlife Service. The 57-page complaint lays out 32 separate specific claims related to alleged violations of the National Environmental Policy Act, the Clean Water Act and the Endangered Species Act. The alleged violations claimed by the environmental groups cover a wide range of technical issues related to the formal processes by which large construction projects, such as the Gross Reservoir Expansions, are approved by federal agencies. Many of the claims made by the environmental groups revolve around allegations that the Corps of Engineers, Interior Dept. and US Fish and Wildlife failed to exercise independent judgment related to claims made by Denver Water about the project. For their part officials from Denver Water said the court filing did not surprise them. Lochhead noted that those two incidents came in 2002 and 2013. 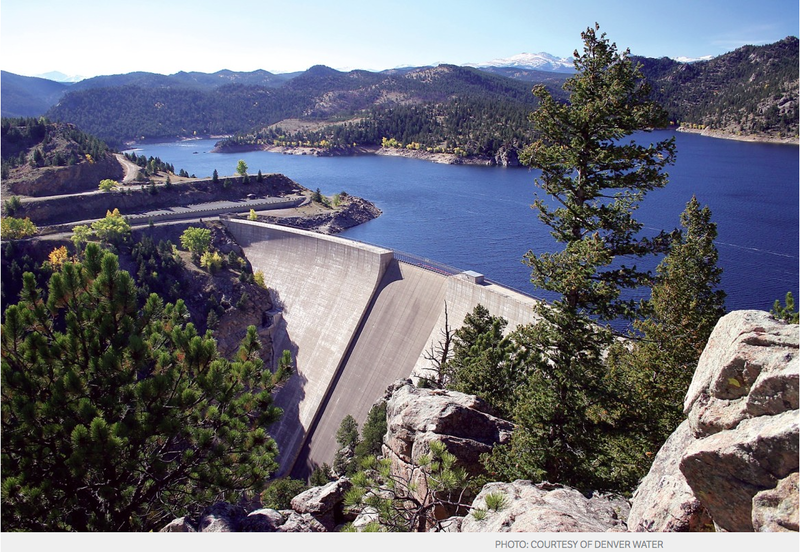 Gross Reservoir provides water to 1.4 million Front Range customers. The expansion would divert more water from Colorado River headwater tributaries during wet years. In a nutshell, the project seeks to raise the height of the existing dam by 131 feet; storage capacity would increase by 77,000 acre feet. The environmental groups who sued say the U.S. government permitting process inadequately evaluated the impact of the large project on streamflows. There are also concerns about how construction would affect wildlife. Revving up the legal gears could pose a setback for Denver Water, which has spent years securing the necessary permits. Now that it has those in place, environmental groups are seeking to stop construction. The re-drawing was performed by the Colorado Water Conservation Board, with assistance from Boulder County staff, and was approved last month 2-0 by commissioners. Commissioner Cindy Domenico was absent. When the change officially takes effect Oct. 1, it will substantially widen the floodway along portions of Lower Boulder Creek northwest of Erie. A floodway is a narrow channel where, in the event of a flood, water will be flowing. A floodplain is where shallow water is likely to be during the event of a flood, though shallower and flowing at a lower volume, if at all, than water in a floodway. The former, by definition of Boulder County’s standards, is more heavily regulated than a floodplain. Land regulated under floodway status is often limited to very specific redevelopment. The Colorado Water Conservation Board in 2015 changed the definition of a floodway, triggering a review of flood-hazard areas across the state. Wheeler Open Space, however, was not reassessed, given the lack of residential buildings on the land, Boulder County Senior Assistant Attorney Kate Burke said earlier this year. In light of the planned oil and gas development on the site, a modeling with the new standards was performed. Under the new guidelines, the entirety of well site Section 1, which is in the open space, is within a floodway, according to documents Boulder County submitted in mid-April with its formal comments to the Colorado Oil and Gas Conservation Commission. 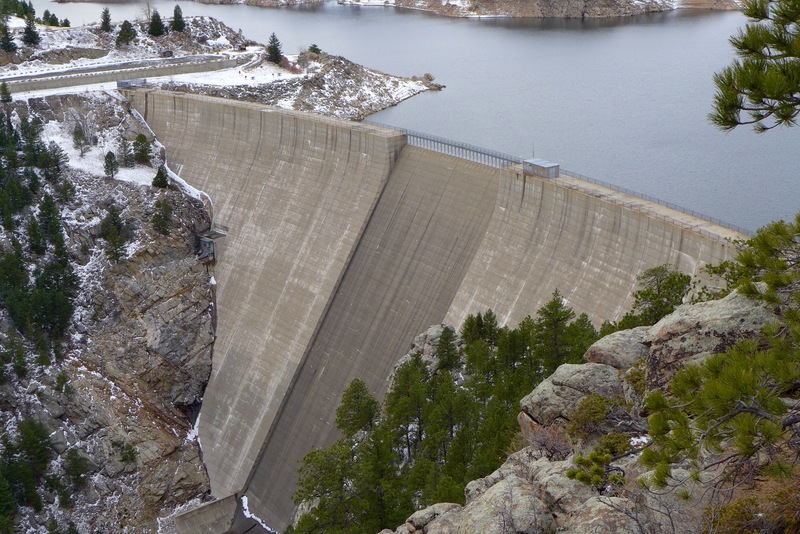 I would like to share why I support Denver Water’s Gross Reservoir Expansion project. While located in Boulder County, the project obtains the water from Grand County — a county that is currently the most impacted county in the state of Colorado for transbasin diversions. You must wonder why the county and its citizens, stakeholders in the Colorado River Basin, along with Trout Unlimited support this project. The reason is the Colorado River Cooperative Agreement, which is an historic agreement with statewide environmental benefits which were fought for and gained through sometimes difficult and long negotiations. It has been hailed as a new paradigm and one that will serve as an example of what can be gained when dealing with a finite resource like water. The signatories to this agreement represent the entire Colorado River Basin, and I had the honor of acting as Grand County’s lead negotiator in this agreement. I worked for Grand County for 33 years, retiring as county manager in 2015. I have lived in Grand County over 60 years and have deep roots and interest in the well-being of our waterways. 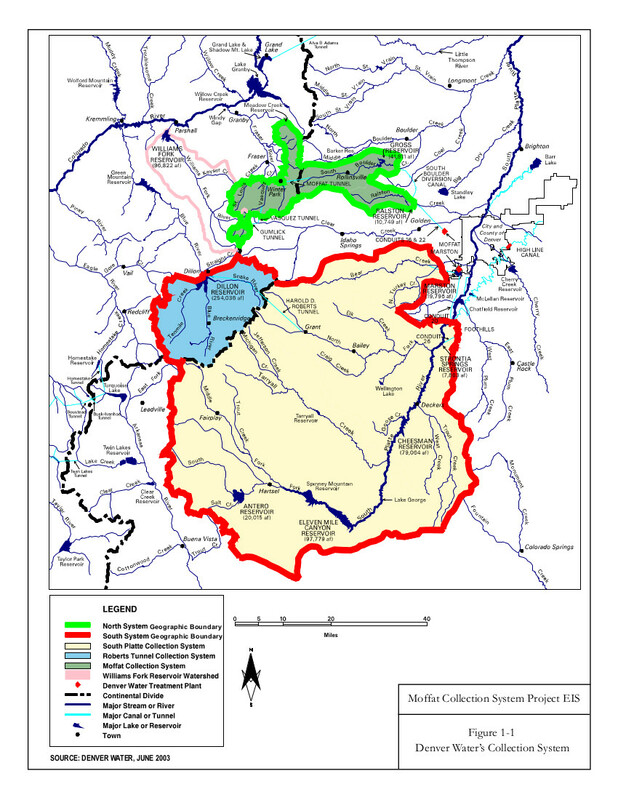 The environmental benefits gained by Grand County, which include additional flows, river ecosystem improvements, use of Denver Water’s system, participation in an adaptive management process called Learning by Doing, money for river improvements, just to name a few, are necessary to protect and enhance the Fraser and Colorado rivers. Without these benefits, these rivers will continue to degrade, with no hope of recovery or improvement. Those who oppose the project offer no solutions to the already stressed aquatic environment of the Fraser and Colorado rivers. Through the Learning By Doing format and a public private partnership, partners have already implemented a river project on the Fraser as an example of what can be done. This project immediately produced improvements that were astounding. Colorado Parks and Wildlife can verify this claim. This essential work will not continue without the CRCA. The impacts that are associated with the construction of the Gross Reservoir Enlargement are substantial and one sympathizes with those who will experience them, but the reality is they will end. Mitigation for the construction impacts can be applied. However, without the CRCA, the impacts to the Fraser and Colorado rivers will continue with no hope of improvement. The environmental enhancements and mitigation that are part of the CRCA cannot be replicated without the reservoir expansion project, and the loss of these enhancements and mitigation will doom the Fraser and Colorado rivers in Grand County to environmental catastrophe. Denver Water officials on Friday answered back by reasserting the project’s merits.